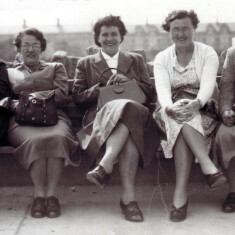 Miss Walker, Mrs. Taylor, Maud Barnes, Mrs. Ogden, Miss Ford. 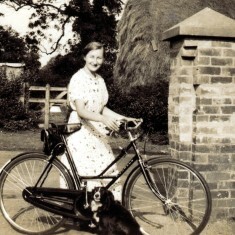 Miss Kathleen Walker, who was infant teacher at Bottesford Church of England School for twenty-two years, was born and grew up in the neighbouring village of Orston. At fourteen she left school to train to be a teacher herself. She became a student teacher at Hawksworth. 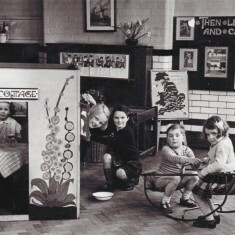 Once a month her Saturdays were spent at the Rural Pupil Teacher Centre in Shakespeare Street, Nottingham. 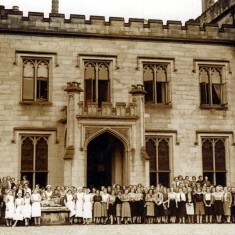 In 1938 she went to Derby Training College for two years, but when war broke out in 1939 the college was evacuated to Elvaston Hall. 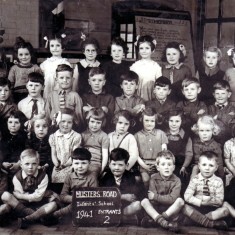 Miss Walker’s first teaching job was in West Bridgford, at Musters Road Infant School, where she taught throughout the war years, from 1940 to 1945. 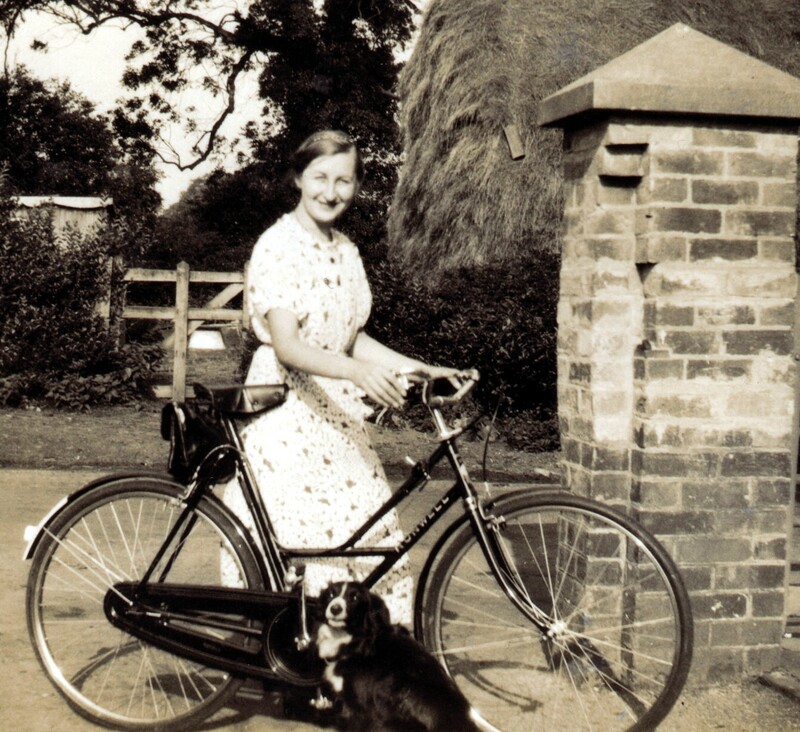 To get to work she had first to cylcle from Orston to Elston, where she left her bike and caught the 7.30 a.m. bus to West Bridgford. She remembers that she had thirty-nine infants in her class. There was a two hour break at dinner time because there were no school meals then. 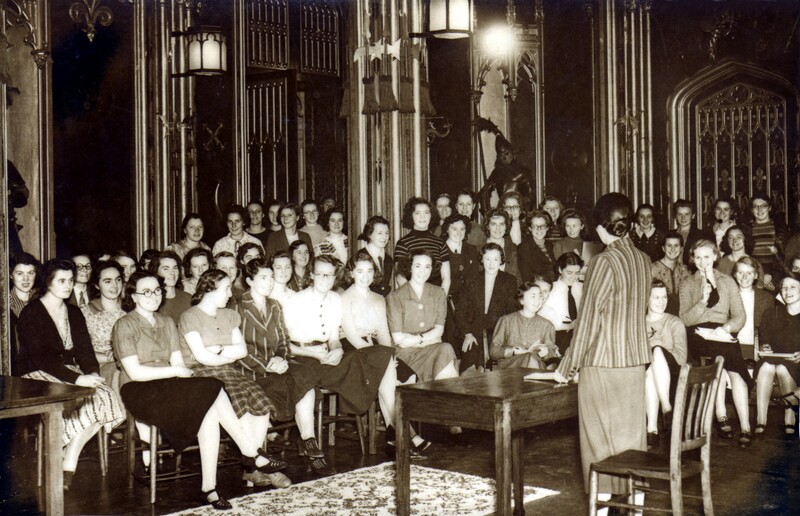 In 1945 Miss Walker had an interview with the Rector, Canon Blackmore and the Managers of Bottesford School and was appointed to the post of Infant Teacher. She remained at the school until 1967. There were fifty-one children in her class aged from five to seven years old. 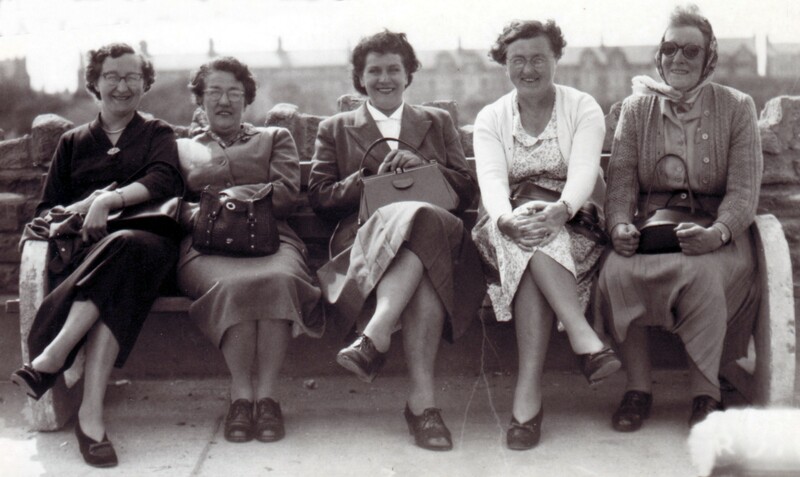 Later Mrs. F. Taylor came to assist Miss Walker and her post was eventually made permanent when the numbers of pupils increased. The children were grouped according to ability. 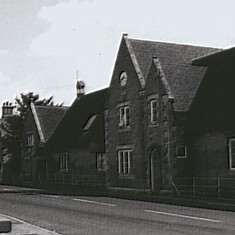 ‘Free Expression’ became fashionable around this time, but it was not much approved of in Bottesford, where more formal teaching was soon resumed. Miss Walker naturally remembers many of her colleagues on the staff of Bottesford School. 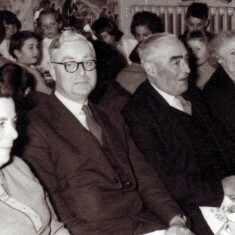 Mr Walter Cox was the Head Master before and after the war. While he was away during the war years Mr. Stimpson was Acting Head. Mr. Cox was followed by Mr. Lawrence Dewey. Mrs. Morris (nee Hopcroft) took the Lower Juniors, ages 7-9, Mrs. Hughes the Upper Juniors, known as the Scholarship Class, ages 9-11. 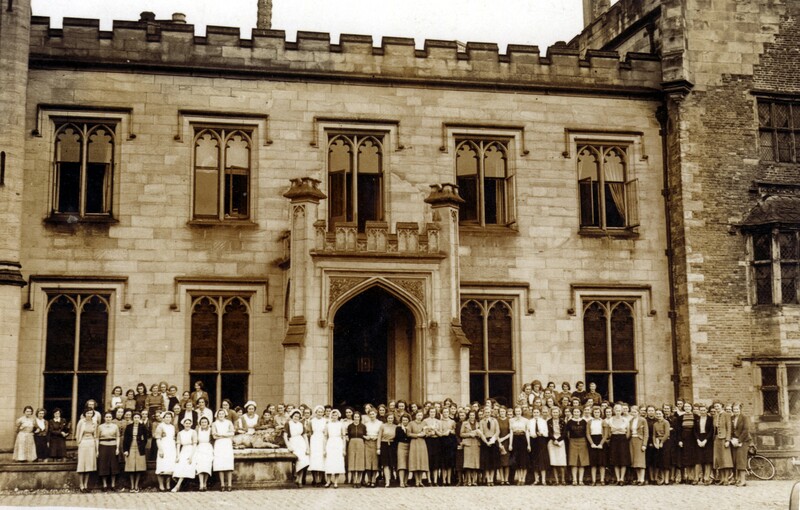 Miss Ford, Mrs. Ogden and Mr. Stimpson took the Senior Pupils, ages 11-14, later to 15, when the school leaving age was raised. 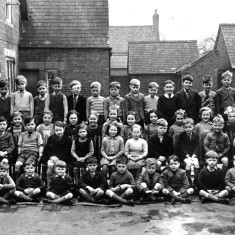 Hundreds of Bottesford children were taught to read, write and do their sums by Miss Walker in her twenty two years at the school. 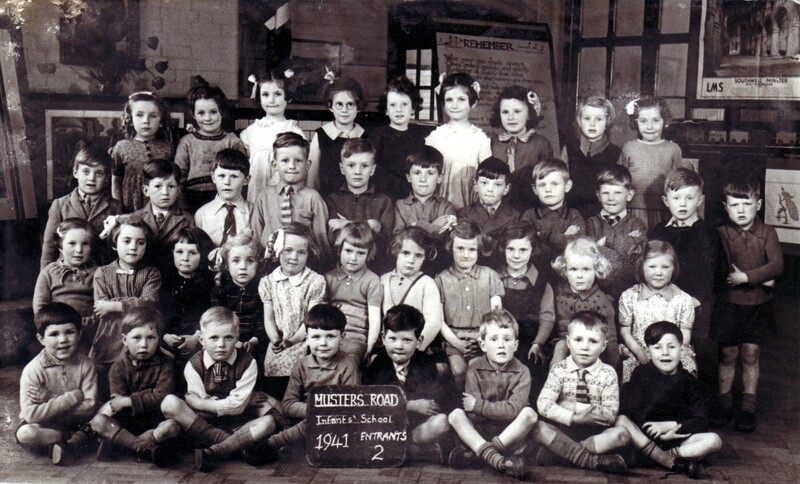 Many of the children she taught in her early years at the school returned to see their own children starting their education in her class in what is now the ‘Fuller Room’ of the old school. 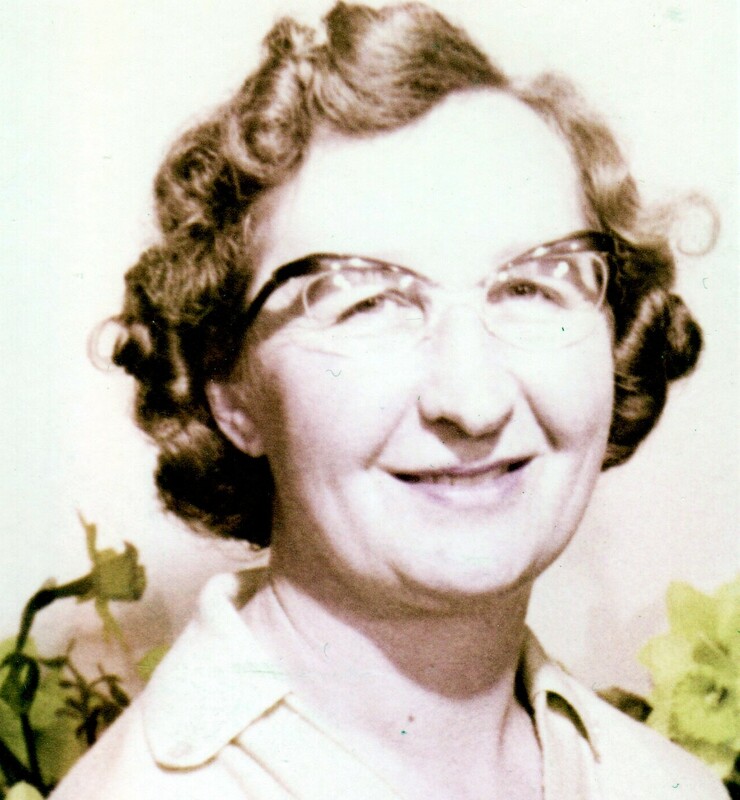 Miss Walker left Bottesford at the end of 1967, when she took up a post as Infant Teacher in her home village of Orston, where she remained until her retirement in 1979. It was a relief to be working closer to home at last. One thing she didn’t miss was the cycling to and from Bottesford in all weathers. 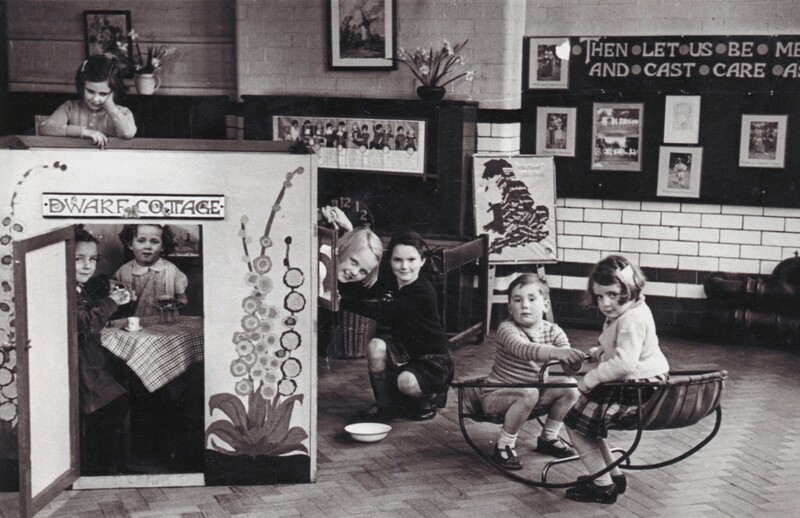 We are grateful to Miss Walker for allowing us to use these photographs from her collection. Thank you for your interest and enquiry concerning Miss Walker. We regret to say that Miss Walker recently passed away. We do not know whether she wrote anything about her experience at Elvaston Castle. However it might be worth contacting those in Orston who are active in local history to make further enquiries. The Orston Parish Council web page has has a newsletter that provides an email link to contact about their Orston History Book. http://www.orstonparish.co.uk/index.htm. Thank you for your interest in this page. We will make enquiries about the teachers you mention and get back with any further information. 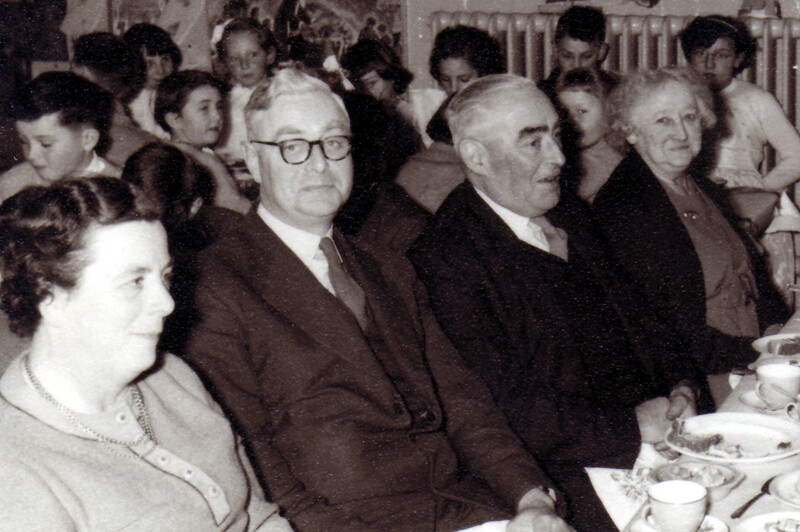 Last on the right behind Mrs Cox, in the picture of the Deweys and Coxs, is Grace Gallagher. 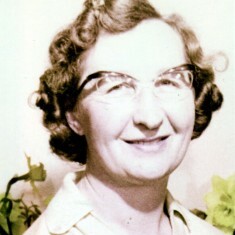 Miss Walker was my first teacher, and at the same time I seem to recollect a Mrs Matthews. Mr Dewey was headmaster. 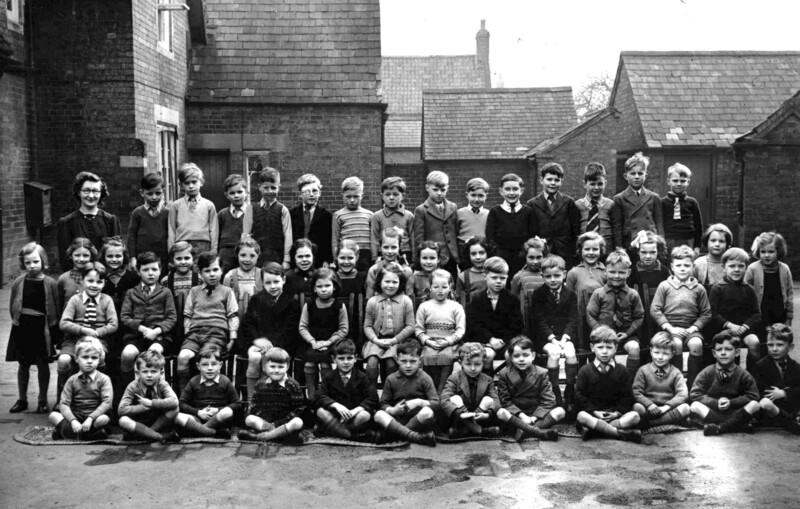 In 1957, at the age of 5, I attended the infant school in Bottesford. At the time I lived at Belvoir but then went to live at in Redmile. 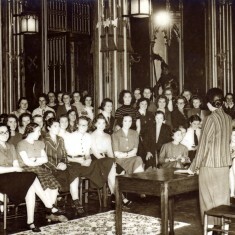 In 1963 I attended Belvoir Secondary Modern, which later become Belvoir High. Mr Dewey was headmaster and he retired the year I left in 1967. I read the account of Miss Walkers career at Bottesford with great interest. I attended this school from the late fifties until 1962 when I went on to the Grammar School at Melton Mowbray. I remember Miss Walker, Mrs Logg, Mrs Taylor and, of course, Mr Dewey who went on to become headmaster at the “new” school which is what we all called the secondary modern. Mr Dewey was replaced by Mr Wilde. Having read the entries by Carol Pulford and Kelvin Powell I wonder if Carol has a brother called Nigel ? and if Kelvin has a sister called Wendy. If so, Kelvin I remember your Dad who used to work outdoors in all weathers and I would always say hello when I passed him on my bike- he would always say hello back. Nigel was in the same class as me- always very quiet. My name, way back then, was Lynn Bufton – my sister Valerie also attended and went on to the “new” school. Memories of “Music and Movement” , Marion Richardson writing, saving stamps and walking up to The Huts ( classrooms ) with the awful outside Elsan lavatories still make me smile. I remember Miss Walker she taught all of my sister’s and my brother. I was milk monitor with Russel Grimes. The thing I recall the most was the ice slide that we used to make on the slope in the play ground (from the teachers loo down passed the entrance to our outside loos). Also the climbing bars. My sister Margaret slipped from these and had concussion.